The Scottish Dundee cake is a traditional light fruit cake that’s perfect with a cup of tea! 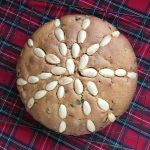 As the story goes, the Dundee cake was created in the late 1700s by the Dundee based company Keiller, as a sideline to their very successful marmalade making business. The original recipe contained only sultanas and naturally, lots of orange peel. I’m not a big fan of peel but I love citrus, so my version of this timeless fruit cake has orange and lemon zest, plus a few spoonfuls of orange marmalade. The original recipe didn’t include cherries – apparently Mary Queen of Scots wasn’t a fan! I however love them in fruit cake so I include them. If you would rather stick to tradition, just omit them and add another 50g sultanas. Dundee cake isn’t as rich as a Christmas fruit cake – think buttery, light sponge studded with juicy, whisky soaked dried fruits and topped with crunchy almonds. No wonder it’s still going strong – it’s a fabulous cake. If you were planning a Scottish themed afternoon tea party, you couldn’t go far wrong with this fruit cake, a plate of empire biscuits and a batch of traditional Scottish tablet. So what are you waiting for? 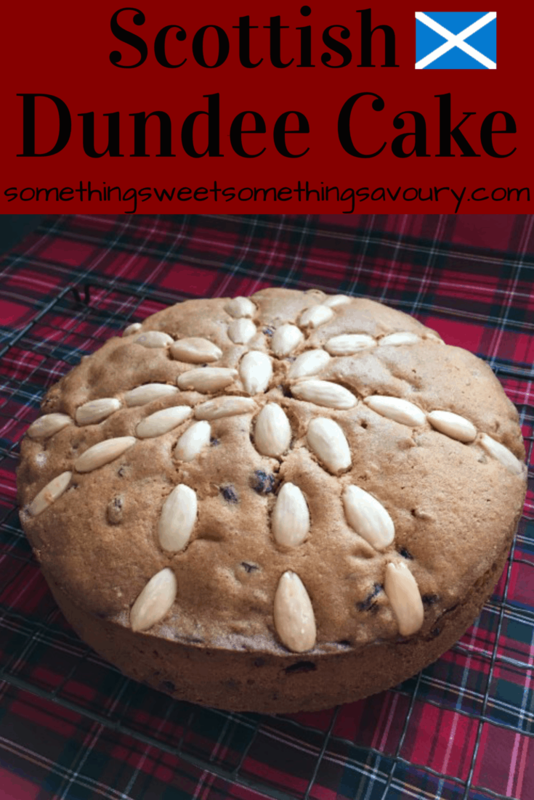 Get the kettle on and let’s enjoy a slice of this delicious Dundee cake! 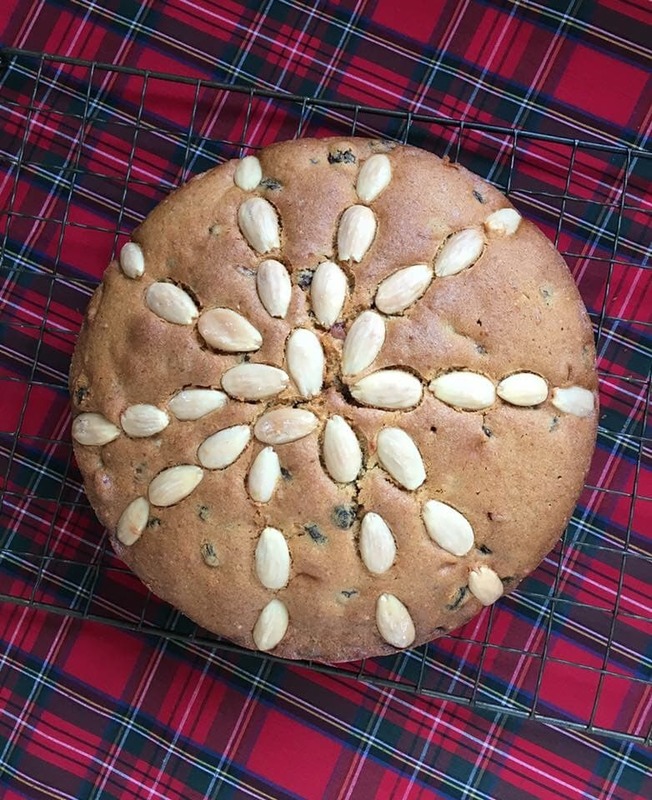 This traditional Scottish fruit cake is packed with dried fruit and topped with blanched almonds. Delicious with a cup of tea! Grease and line a deep 20cm round cake tin, making sure the baking paper comes above the top of the cake tin by about 4cm. Preheat the oven to 180C/150C fan. Slowly add the eggs, one at a time and beating well after each addition. Fold in the soaked dried fruits, lemon and orange zest, orange marmalade and ground almonds. Pour the mixture into your lined cake tin and decorate the top with the blanched almonds. Bake for 1 hour 30 minutes – 2 hours (start checking the cake after 1 hour 30 – mine was ready after 1 hour 40) or until a skewer inserted in the middle comes out clean. That looks lovely – and I’m with you on the cherries! This looks so tasty. In my opinion cherries should be in all fruit cakes! Yum. I totally agree! Thanks for stopping by ? Thanks! Cherries are the best ? ?